Google just announced that it’s purchasing Motorola Mobility for $12.5 billion— the search giant’s biggest acquisition to date. Motorola Mobility is Motorola’s consumer division, which was spun off in January 2011 and primarily sells mobile phones and TV set-top boxes. In a post on the official Google blog, CEO Larry Page wrote that the primary value Google sees in the acquisition is Motorola’s arsenal of 17,000 patents. In recent months, Apple, Microsoft, and others have sued prominent Android phone manufacturers like HTC, LG, and Samsung for patent infringement, with claims largely focusing on the Android OS. With little prior mobile experience, Google has few patents of its own to help defend its licensees. Motorola, on the other hand, has made millions of phones over the last few decades, accumulating a large patent portfolio along the way. 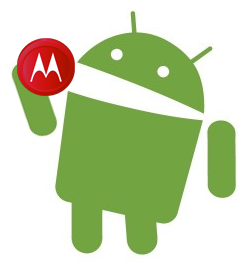 Most media outlets have reported that by licensing Motorola’s patents to Android manufacturers, Google will be able to help them defend against Apple and Microsoft, providing them the basis for counterclaims, resulting in mutually assured destruction and thus settlements freeing Android from patent troubles. The problem with this view is that Apple and Microsoft have already sued Motorola (see battle maps here and here); the cases are pretty far along and aren’t looking too great for Motorola at this point. If Motorola’s patents couldn’t protect it, then how will they shield the rest of Android-dom? And, as Florian Mueller writes, it’d indeed be quite ironic if, by the time the deal is approved, Google were to acquire a phone manufacturer that’s been banned from importing Android handsets into the U.S. So clearly, patent protection from Apple and Microsoft is not the primary reason for the deal. If it were, Google could’ve just licensed Motorola’s patent portfolio (as Motorola shareholder Carl Icahn proposed just a few weeks ago). The fact that Google chose to purchase the entire company instead, and thus enter the phone hardware business itself, suggests a different modus operandi. So far, Google’s primary interest in the mobile space has been to increase access to its web services– that was the whole purpose of Android. But the company’s business practices on Android, from forcing licensees to use its services (see the Skyhook case— quite damning for a supposedly “open” platform) to giving only preferred partners early access to new versions of OS, suggest that Google wants a bigger slice of the mobile pie for itself. Android licensees like LG, Samsung, and HTC are justifiably afraid of competing against the very company they get their phones’ operating system from. It’s unrealistic to imagine that Motorola would not gain a significant competitive advantage being under Google’s roof, and Google could easily decide to go vertical, creating Google-branded Android super-phones to match the iPhone’s tight hardware/software integration and leaving other Android licensees in the dust. An ancillary benefit for Google, of course, is that Motorola’s big presence in the TV set-top box market could be an entry point for its failing Google TV product. One interesting provision of the deal is the reverse termination fee. If Google is unable to complete the deal, it must pay Motorola $2.5 billion– a fifth of the purchase price, four times the median for deals in the last year, and apparently the largest such fee in industry history. By contrast, if Motorola decides not to sell to Google, it must only pay $375 million. This seems to reflect Google’s desperation and Motorola’s concerns about regulatory hiccups– Google’s Android-related search business practices are already under FTC antitrust investigation. Microsoft stands to benefit in that it can now market Windows Phone 7 as the only operating system OEMs can license without competing against the licensor’s own phones. Some believe Microsoft may follow Google’s move by acquiring Nokia (which is now a key partner on the Windows Phone platform). This is quite unlikely, especially if the Motorola deal motivates HTC, Samsung, and LG to put more effort into Windows Phone 7 (which they all offer but clearly place on the strategic backburner compared to Android). Microsoft wouldn’t gain anything beyond what it already has in Nokia (a high-quality hardware manufacturer exclusively committed to Windows Phone and armed with an immense patent portfolio), and besides, outside of Xbox, Microsoft still believes in the “ubiquity” strategy it used against Apple many years ago, mobilizing a whole industry of Windows-powered PC hardware manufacturers to destroy Apple’s bundled hardware-software offering. RIM only gains in that the Google-Motorola deal kicks the mobile industry’s patent mess up a few notches, showing that the array of BlackBerry mobile patents is probably quite valuable. The issue is, however, that the only companies still interested in RIM’s IP would be firms that lack strong software portfolios and are looking to create their own phone OS (HTC or Samsung perhaps). Time to sit back, grab some popcorn, and watch the tech giants duke it out for mobile supremacy.